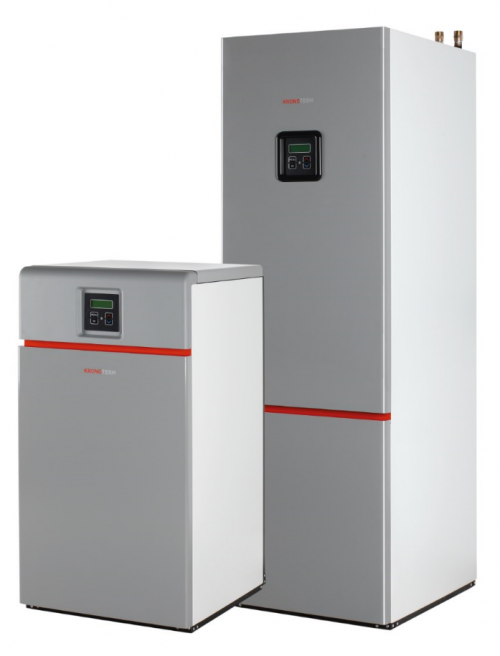 Heat pumps are of various heating power, suitable for various sizes of heating surfaces. If your building is smaller than 150 m2 of joint heating surface, check the box "smaller". If your building is larger than 150 m2 of joint heating surface, check the box "bigger". If you want to heat larger apartment building or business/industrial buildings, check the box “industrial”. This is not the only decision making parameter for choosing the heat pump, it is only of informative nature. 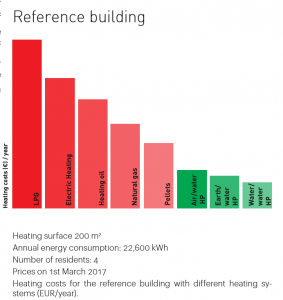 Most new buildings use floor heating for the distribution of heat. In floor heating the temperature of heating water is lower, this is why the heat pump does not need temperatures higher than 55 °C. 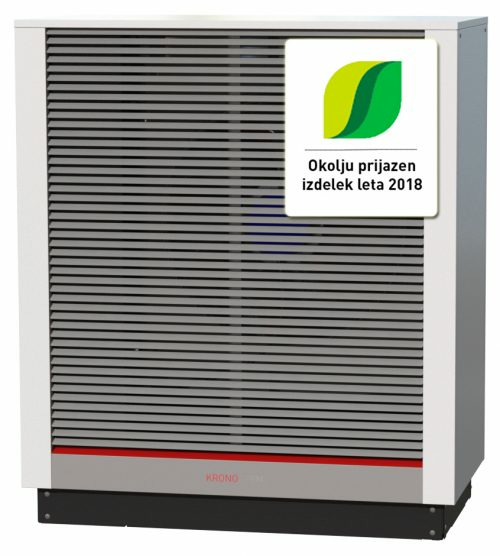 In older buildings where radiator heating is predominant, the heating temperature is around 60 °C, here high-temperature models of heat pumps are needed. Here we first think of which heat source is the most economical for use. Of course, the answer is clear. The one which is available and has the highest average yearly temperature during the heating season. The only limitation is the availability of the source. 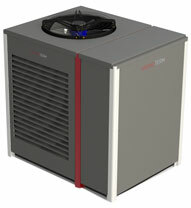 Air as heat source in air/water heat pumps is available everywhere and is also the most common choice. 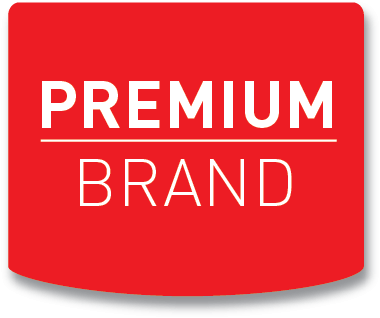 Ground water as source for heating with the WPG heat pump is not available everywhere or is not of suitable quality. But it is the most effective solution in terms of usage. The possibility is also to use the warmth of the earth with the use off a borehole or horizontal collector (if you have a lot of space around the house). Cold air is full of energy. Air is an inexhaustible source of energy and is available everywhere. 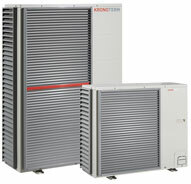 The newest models of air/water heat pumps enable heating also at outside temperatures as low as –25 °C. Temperatures as low as this still mean energy savings of 50%. This is the most low-cost type of heat pumps with easy and affordable installation and maintenance. Recommended types of constructing the heating system Air/water heat pumps are usually designed to independently cover all the heat losses of a building in temperatures as low as –5 °C. Under this threshold, the heat pump operates in combination with a second heat source. This covers more than 98% of the building’s heating needs with the use of the heat pump. In new buildings, the second heat source is usually an electric heater, in existing buildings with a good conventional heating source, the latter can also be used. The electronic control system enables simple set-up of a switching point from the 1st to the 2nd heating source. The heat from the underground water is a very good source for the heat pump. Its advantage is a relatively constant temperature level approximately between +7 °C and +12 °C. To use underground water, two boreholes must be drilled for pumping and returning underground water. The first borehole is fitted with a hose with a submersible pump. During operation, the pump drives the water through the heat pump and uses its heat energy; it releases the water which is cooler by some degrees Celsius (from 2 to 4 °C) into the other borehole which is some metres (15 – 20m) away from the first and into the underground water. The amount of water in the suction hole must be sufficient for uninterrupted operation when the heat needs are the highest. To use underground water, you need a permit, the water must undergo chemical analysis before the start of the works. The underground water is an ideal heat source because of its relatively high temperature, it can achieve a high COP. This means water is the most energy efficient (seen from a annual average). 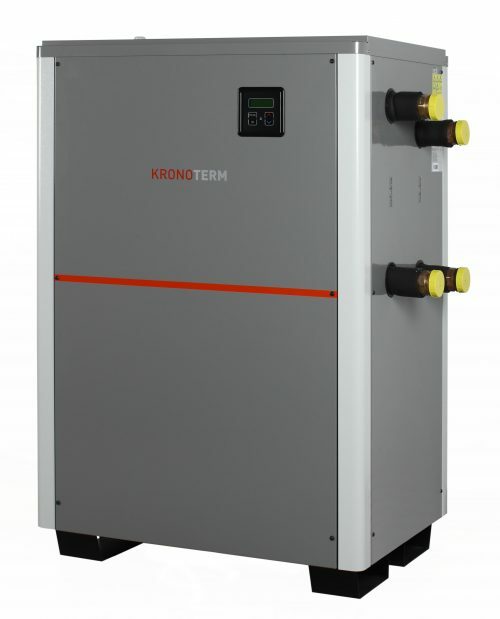 Water/water heat pumps enable high heating capacity with very small external dimensions. The robust and innovative model is additionally enhanced by a special plate heat exchanger made of stainless steel. Hybrid brine/water and air/water heat pumps use different sources of heat – ground and air. Ground heat is heat energy stored in stone or earth (horizontal collector or vertical probe), air heat is exacted from souring air as source of energy. 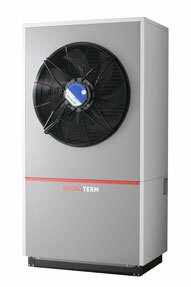 Kronoterm hybrid heat pumps combine best of ground as source of energy as well as air as inexhaustible energy source. Water, earth or air? Which heat source to choose? The one which is available and has the highest average yearly temperature at the same time. From an energy standpoint, it is of course the ground water in the first place if it is available in sufficient quality and quantity, because its average yearly temperature is approximately +10 °C. These systems offer a COP of above 5 – the biggest savings. If ground water is not available and there is a sufficient free ground space, it can be chosen as a source by laying a horizontal earth collector or vertical drill. Here we can achieve a COP of about 4. If nothing of the above mentioned is available, there is also air as heat source which is available in unlimited quantities. This kind of system can achieve a yearly seasonal preformance factor of above 3.5 (central Europe), even 4 at the coastal regions (southern Europe). 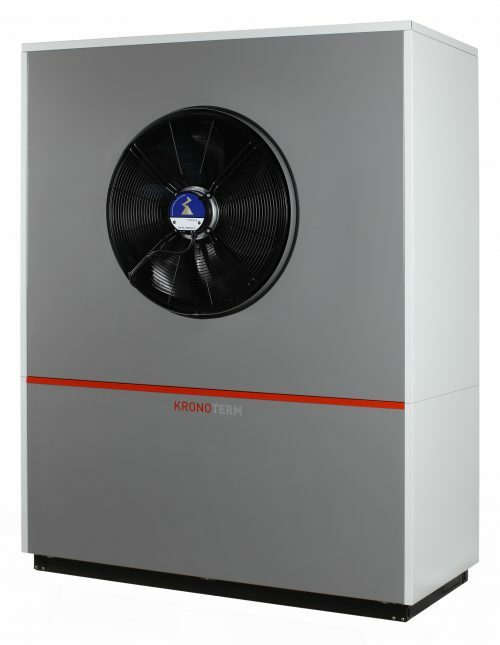 There are many advantages in choosing a heat pump for heating and DHW. But it is definitely most important to lower the heating costs which are lower with the use of a heat pump than whit conventional heat sources. The comparison of savings is shown in the diagram “reference building”. The classic radiator heating heats the air in the room whereas floor or wall heating heats the building’s element. If floor heating is combined with a heat pump, a feeling of warmth and comfort can be achieved at a temperature which is lower by 2 °C. The difference in temperature of course means lowering the heating requirements by 5 to 8 % which additionay increases your savings. Because the operation of heat pumps is almost soundless, you can entirely immerse yourself in the new feeling of comfort.